Guy’s and St Thomas’ NHS Foundation Trust is one of the largest NHS trusts in the UK, with a turnover of £1.3 billion, contracts with 130 clinical commissioning bodies, and over 2 million patient contacts each year – over a million in hospital services and 859,000 in the community. 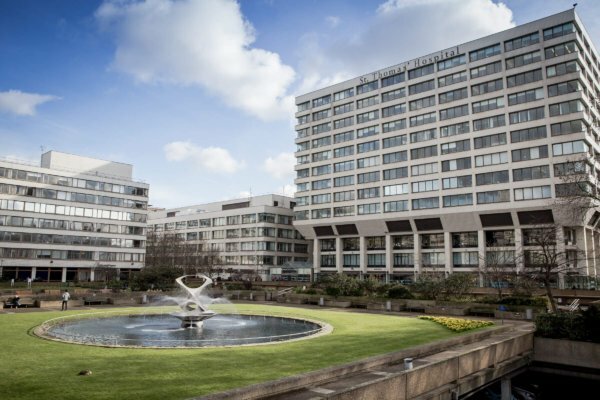 The tust provides first-class general and specialist services from two major hospital sites – Guy’s Hospital in London Bridge and St. Thomas’ Hospital in Waterloo – that serve the local populations of Southwark and Lambeth. It is also a national referral centre for highly rated, specialist services, and is home to the Evelina London Children’s Hospital. The Trust provides a full range of community services to Lambeth and Southwark. Guy’s and St Thomas’ NHS Foundation Trust is a pioneer in health research, and provides high quality teaching and education. At any one time more than 1,375 leading edge research projects are on-going across the Trust’s hospital sites, including over 345 clinical trials of medicinal products. In 2011, the Guy’s and St Thomas’ Biomedical Research Centre was awarded £59 million of funding over five years by the National Institute for Health Research. With their academic partner, King’s College London (also a member of South Bank Employers’ Group) Guy’s and St Thomas’ hosts five Medical Research Council centres, almost a quarter of the UK total, focusing on: transplant; asthma; developmental neurobiology; environment and health; and social, genetic and development psychiatry. In 2012, the Trust’s Clinical Research Facility was awarded £5.6 million from the National Institute for Health Research to continue to expand its groundbreaking clinical research. Guy’s and St Thomas’ NHS Foundation Trust is home to the largest dental school in Europe.